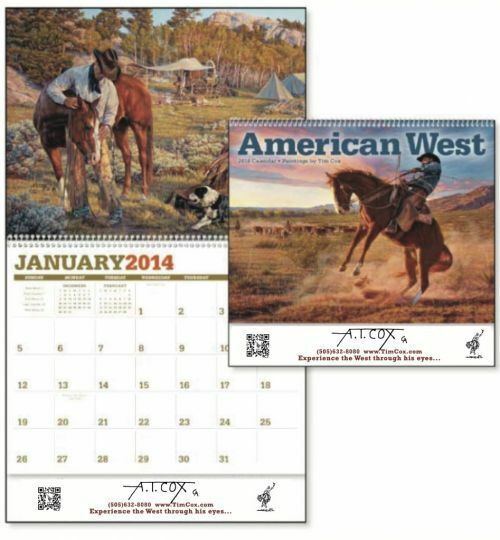 The 2014 wall calendar features 12 great Tim Cox images (one for each month). The images are: "More than Just a Horse", "Found", "Blow-Up", "Spring Fever", "Thunder Rolls", "Heaven on Earth", "Neighboring on Eagle Creek", "Pushing Them Off", "Bill", "Gathering Storm", "Rocky Mountain Paradise", and "Dead Heading Home". The 2013 wall calendar features 12 great Tim Cox images (one for each month). The images are: "Reflections of a Passing Day", "On to Better Pastures", "Spring Branding", "Cow Horse Country", "Reluctant Company", "Final Cut", "A Day Just About Done", "An Ornery One", "An Early Autumn", "Branding the Remnants", "Where Change Comes Slowly", and "Wishing for the Sun to Shine". The 2012 wall calendar features 12 great Tim Cox images (one for each month). The images are: "Tomorrow's Horses", "Another Day in Paradise", "Good Horses Make Good Cowboys", "All His Pretty Horses", "Long Days, Short Pay", "Along Eagle Creek", "A Well-Earned Drink", "Her Chance to Dance", "Heart and Home", "October Mist", "Crossing", and "Frosty Morning". The 2011 wall calendar features 12 great Tim Cox images (one for each month). The images are: "Cowboy Cut", "Bringing Home the Ranch Pet", "Four Horsemen", "Where Freedom Lives", "Looking Good", "Dusty Trails, Cow Tales", "Summer Breezes", "Hustling Them Home", "As Good as it Gets", "Tall Timber Tango", "Crossing the Creek", and "Where the Mountains Reach the Sky". The 2010 wall calendar features 12 great Tim Cox images (one for each month). 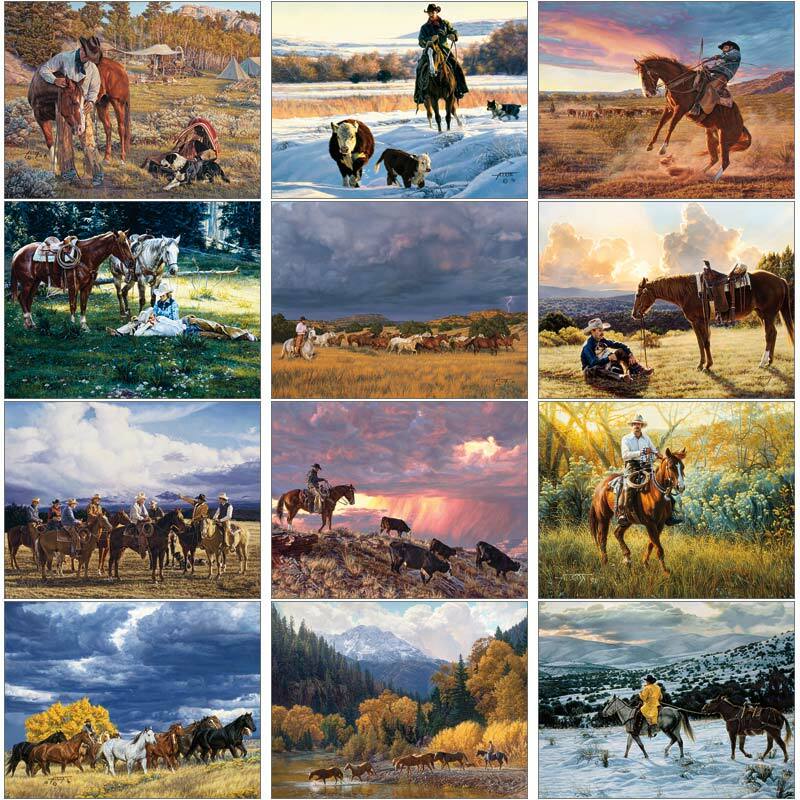 The images are: "Good Horses and Wide Open Spaces", "A Day Almost Gone", "Storm on the Mountain", "Cloud Watchers", "Rumbling Thunder", "Where the Sun Shines on the Mountain Top", "Winter Crossing", "West of Tubac", "Dance of the Blue Cayuse", "The Last Hill", "Born to the Land", and "Leaves of Gold".